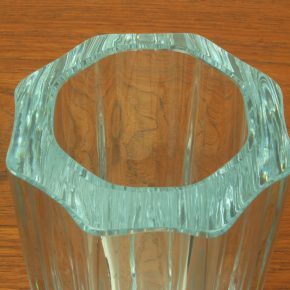 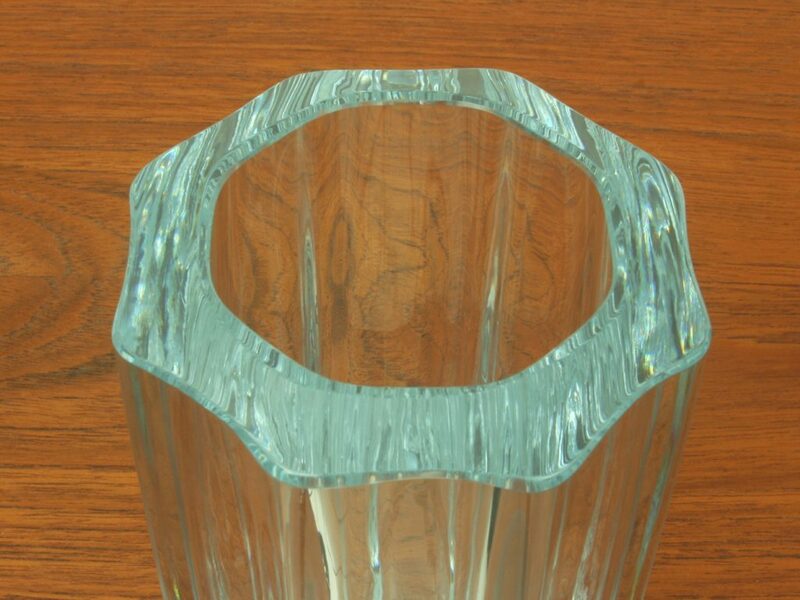 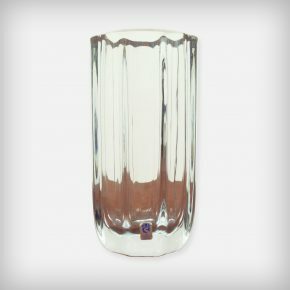 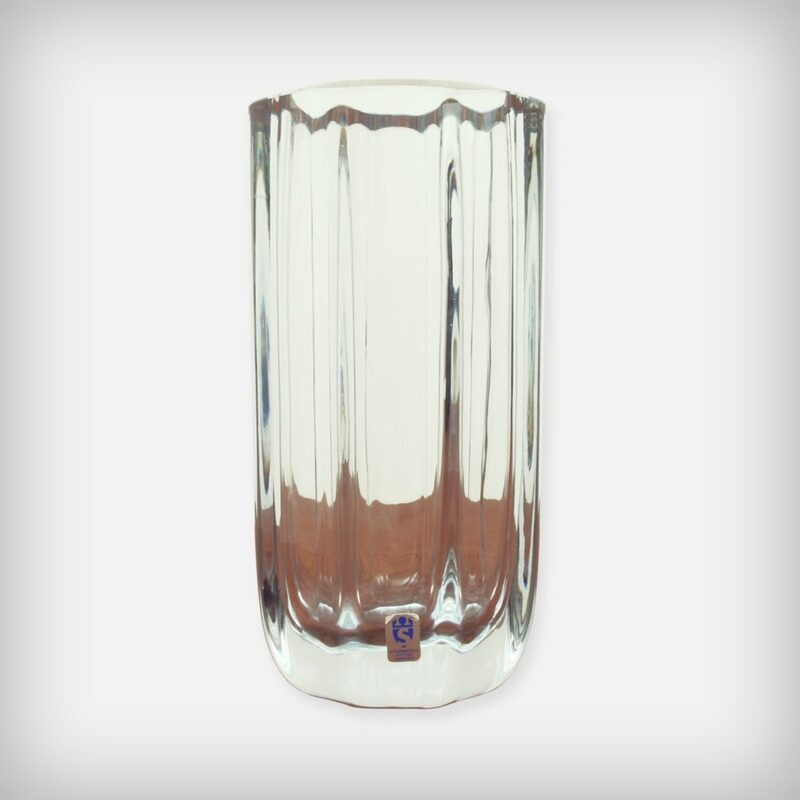 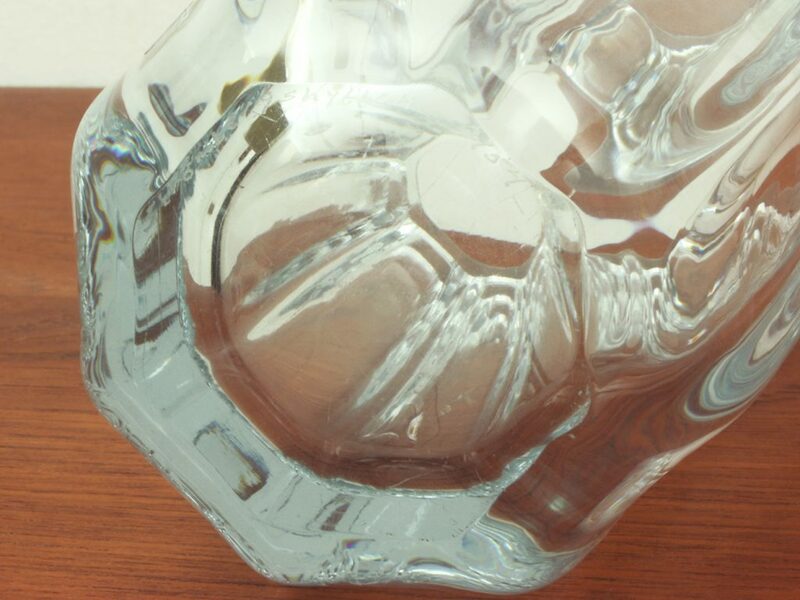 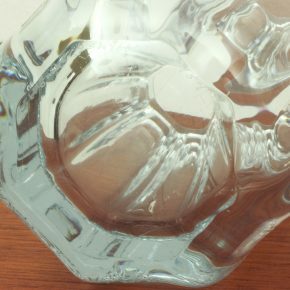 This elegant thick octagonal vase is handblown. 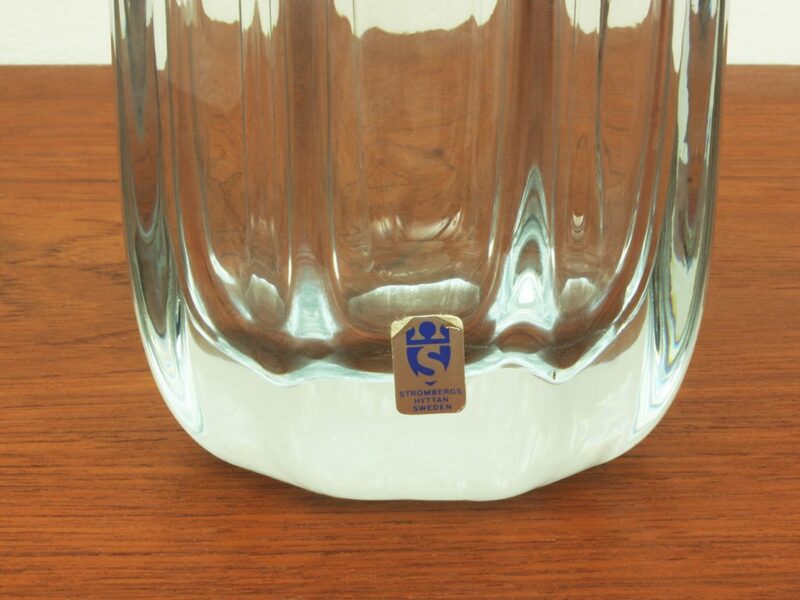 Made of clear crystal glass with a subtle blue tint. 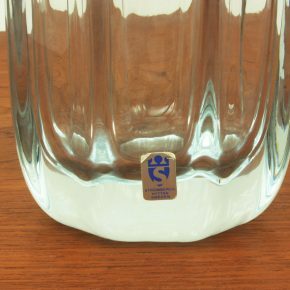 Incised signature at the bottom and labeled.